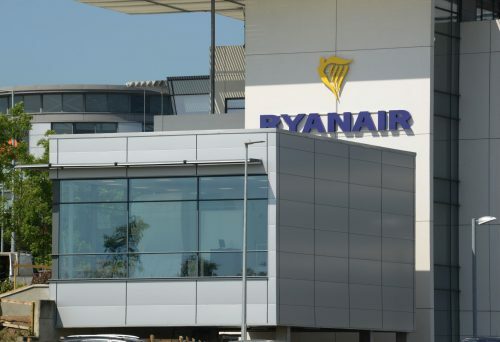 Ryanair is one of Europe’s leading airlines carrying over 130m customers p.a. on more than 2,000 daily flights. 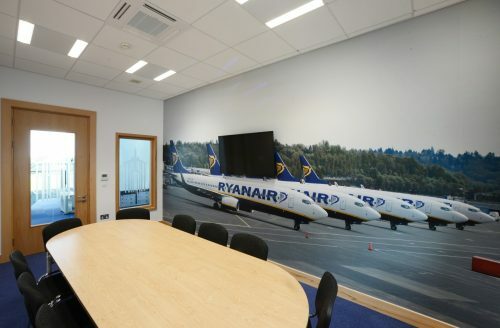 Ganson Fit Out was contracted to construct a purpose built building to house Ryanair’s fixed base flight simulator along with 2 training rooms. 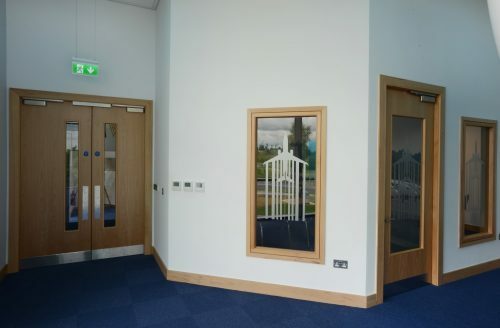 Construction and fit out included installation and construction of RC walls, steel structures, flooring, internal walls, cladding and external glazing. All M&E works were carried out including A/C power, IT and lighting. Decorative finishes to rooms were carried out including painting. 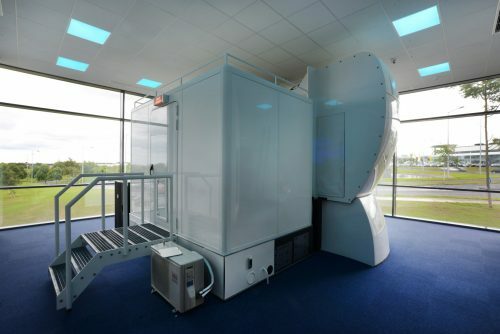 This was all carried out whilst ensuring the Flight Simulator was protected from damage as it had to be installed during construction of the building.